There are many types of acne and we can treat them all. Whilst acne is a systemic condition, it manifests itself in different ways such as those below. Whichever type of acne you believe you're suffering from, our treatments can help combat your symptoms. Visit our experts in Northampton to discuss the right treatment for your condition. WHY CHOOSE SK:N FOR YOUR ACNE TREATMENT? Is acne having a negative impact on your life? Is it damaging your self-confidence? Don't worry, we're here to help. We like to be honest about what we believe is the best course of treatment. Is there an absolute cure for acne? Unfortunately, no. But our experts are passionate about improving and controlling the symptoms so you can live your life without worrying about your skin. Treating acne is often a long journey that can take its toll on your confidence, but our aim is to get you to a place where you’re happy with the way your skin looks. We’re here for you every step of the way. Yes, we help patients with all types of acne, ranging from mild and moderate to severe. The treatment we offer you will depend on the severity of your acne. But even if you’re thinking, “Isn’t my acne too severe to do anything about?”, we have expert doctors who are able to prescribe medication and conduct treatment. The increased production of skin cells mean that they build up and clog pores. An overproduction of sebum in the skin can block pores and cause spots. Blocked pores, spots and infections can cause inflammation and soreness of the skin. Everyone has bacteria on their skin, but clogged pores provide the perfect environment for bacteria to grow and cause infections. You want to be proud of your skin, but how long will it take to improve? Watch Lead Nurse Ruth Breeden explain how we determine the length of your treatment course. You'll receive a call from the clinic before your consultation to answer any questions you may have i.e should I remove make-up? Where should I park? We’ll also let you know where to find more information about our acne treatments. You'll come and see an acne practitioner at your consultation. They'll ask you about how acne affects you, your medical history and if you've had any previous treatments. Your skin will be assessed to establish the grade of acne you're suffering with by removing your make up and using a skin scanner and magnifying lamp. Your practitioner will present a solutions plan to you, including regular progress checks. They will check the plan meets your expectations and if you have any concerns. Prices and payments will also be discussed with you. You'll continue to be seen by your practitioner. You'll be booked in for treatments and also a review in four to six weeks time. This is when you can discuss how you're finding the treatment and if you and your practitioner are happy with the results. You'll be referred to a sk:n Doctor for a consultation. The Doctor may recommend a prescription medicine if they believe it's the best course of action for you. After seeing the Doctor, you will be contacted by your practitioner to review the outcome of your appointments. Six weeks later, you'll have a progress review to ensure your treatment is achieving the expected results for you. Your acne will be re-assessed by your practitioner, or Doctor if required, and your product and/or treatment plan will be amended accordingly. 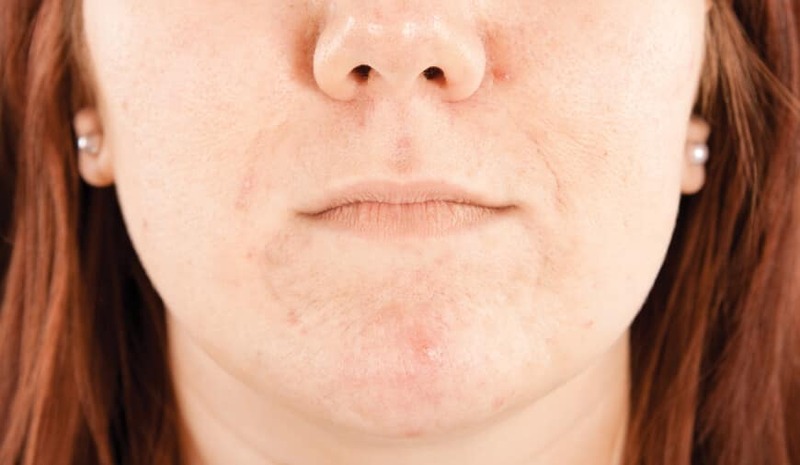 You will have an evaluation usually booked in for twelve weeks after starting your treatment, when we aim to move you onto a maintenance plan to keep your acne under control. *£25 consultation is redeemable against any acne treatment course purchased off the back of a consultation, please speak to the practitioner. Consultaton fee is non-refundable if no treatment is purchased. There are many types of acne and we can treat them all. Whilst acne is a systemic condition, it manifests itself in different ways such as those below. Whichever type of acne you believe you're suffering from, our treatments can help combat your symptoms. WHICH ACNE TREATMENT IS RIGHT FOR YOU? Acne is a disease and so to reduce the impact it has on you, we work with your skin to minimise the four key factors of acne: excess oil, increased cell turnover, bacteria, inflammation. We offer a combination of treatments and products to successfully control these symptoms. Salicylic acid (SA) is known as a Beta-hydroxy acid (B-H-A) and is derived from the bark of a willow tree. Using a vacuum suction device, Isolaz extracts skin debris, bacteria, and excess sebum from pores. Immediately following the vacuum process blue light is emitted onto the skin, which stimulates a reaction creating oxygen and helps to destroy any acne bacteria remaining in the pores. Isolaz leaves your skin cleaner, clearer and less inflamed. Microdermabrasion uses microcrystals to disrupt and remove the top layer of skin cells that cause blocked pores. This technology reveals new, living cells leaving a healthy glow. The epidermal layers of the skin are rejuvenated leading to fresher and plumper skin. Who can benefit from Microdermabrasion? We would only offer it to people with very mild acne. HydraFacial is a multi-step treatment used to cleanse, exfoliate and extract impurities. It incorporates a Glysal Peel, which helps to exfoliate the skin. During the treatment, dead skin cells and impurities are removed and the skin is hydrated with antioxidants and peptides. 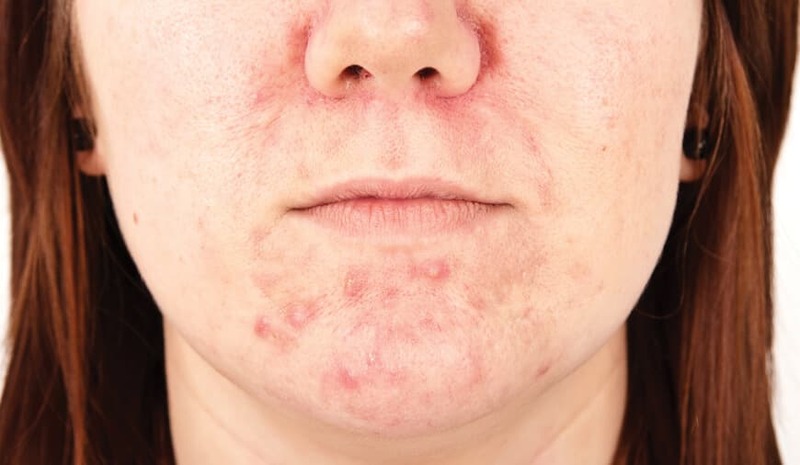 If your acne is assessed as moderate or severe, our doctors may prescribe oral or topical medication, including Roaccutane. Some medication can be used in conjunction with our treatments and products. Not all medication can be accompanied by treatments straight away. We recommend a combination of treatments in clinic and products to use at home to successfully control your acne symptoms. The combination your practitioner recommends for your treatment plan may change as they monitor your results. To reduce the impact that acne has on you, we work to minimise the main contributors. What are the four key factors of acne? Excess oil, increased cell turnover, bacteria and inflammation. With a combination of treatments and products, we can successfully control these symptoms. A Pyruvic Skin Peel is a gentle, exfoliating peel that will clear and tighten your skin. It contains a natural occurring acid that penetrates deep into the skin to work at all layers of the dermis. Kleresca® is the latest non-invasive biophotonic treatment designed to treat your acne safely and with little to no downtime. Inspired by photosynthesis in plants, Kleresca® stimulates your skin’s own biological processes to improve your complexion and overall skin quality. Kleresca® is suitable for treating Acne and treating Acne Scarring. We can't cure acne, but we can dramatically reduce the symptoms. By following our treatment plan, you will see a significant improvement in your acne. In your sk:n acne consultation, your doctor or nurse/acne specialist will discuss your specific condition and the results you can expect to see. HOW MANY ACNE TREATMENTS WILL I NEED? The exact number of treatments needed varies depending on the type and severity of acne. During your sk:n acne consultation, our expert practitioner will discuss a complete plan with you to suit your needs and finances. The average number of treatments is initially around six to eight sessions every seven to 14 days to get excellent results. After this, your practitioner will discuss a maintenance plan with you. HOW WILL I FEEL DURING ACNE TREATMENT? We aim to make you feel little or no discomfort with our acne-clearing products, ensuring you feel safe and comfortable. WHAT HAPPENS AFTER ACNE TREATMENT? Within a few weeks, you will start to see real and exciting results. As your acne fades, your improved skin will look smoother and clearer. IS ACNE TREATMENT RIGHT FOR ME? Most cases of acne respond well to our six-week treatment regime. Your sk:n specialist will discuss the effects of your particular treatment with you. CLICK HERE TO ARRANGE A CONSULTATION TODAY. FINDING US: The clinic is located on the corner of Cheyne Walk at the cross roads of Spencer Parade, Cheyne Walk, Billing Road and York Road opposite Northampton General Hospital. The clinic has its own car park off Cheyne Walk before the traffic lights and next door to Cheyne Walk Club. sk:n is home to more consultant dermatologists, doctors, plastic surgeons, nurses and therapists, than any other UK dermatology service provider. The sk:n team in Northampton will ensure that your visit to the clinic is truly worthwhile: at sk:n we are passionate about helping you discover better skin. So, whether you suffer from acne, unwanted facial hair, regret an old tattoo, or simply just want to freshen up your complexion – we have the most effective treatments on the market to help you achieve the results you long for.